I'm mid way through converting my K100 into a street tracker/ scrambler look and have been doing a fair bit of research into tyres. I think I've settled on Heidenau k60 (scout?) tyres for front and rear on the snow flake style factory wheels. I've done a fair bit of desk research and it seems like they are a decent performer on the road even when wet. Would someone please be able to confirm the sizes I could go up to for each? I've also read that the tyre will need to have an inner tube due to the aluminium rim. Is this correct for all tyre options available? If anyone else has recommendations for a similar looking tyre which has good road grip then happy to hear your suggestions. I've also read that the tyre will need to have an inner tube due to the aluminium rim. If I can run it tubeless with no issue then that's great. I had been looking to get tubeless variants of the K60 tyre in sizes 110/80-19 and 140/80-17. Can anyone confirm whether these will fit the generic snowflake rims? I can confirm that the rear 140/80/17 will fit and is tubeless. As for the front, cant comment on the front as I run a K1100 front wheel which is a different size - however the particular tire I use on the front must be used with a tube and can be used front or rear. Cheers floyd. I take it you're getting on OK with the k60 rear you're running? @MMWW wrote: Cheers floyd. I take it you're getting on OK with the k60 rear you're running? Yeah they are great, but I actually take my bike off road regularly....if not I wouldn't use them. But for what they are, they are among the very best. Concerning what your liable to read anywhere: A couple of those posts seem convincing but what's the experience of those people writing them? Are they getting information transmitted from the mothership through their dentalwork? Are they extrapolating their information from dreamwork? Maybe they've just made a well-meaning but mistaken observation. Look here. This data is right from the Snowflake itself—a 1984 K100 riders manual. That leads to your other query about tire width. Now you can believe the first thing you read on the Web or you can measure the clearance yourself. Your stock front tire tread surface is 100mm wide. The tread width of your front dream tire is 110mm. Measure the distance from the widest portion of your current tire to one of your fork legs. 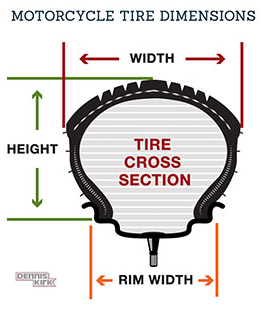 Your dream tire is 10mm wider which means it's 5mm wider on each side than your stock tire. Do you have more than 5mm clearance to your bike's fork leg? If the answer is yes, it's likely your dream tire will do OK. Use the same procedure for swing arm and other clearances of the rear tire. Here's a chart from the website of Dennis Kirk, an online moto supply house. Other factors enter the picture when you get wider tires and one of those factors is rim width. A 10mm increase tire width increase isn't much. Larger could be problematic with tire stability on the rim even if you could shim the wheel for swing arm or fork clearance. So then a rim guide like this one from Ridewright Wheels comes into play. Good, helpful stuff is out there but I'll admit, it's a lot easier to just go with "Do this, Timmy, me lad. You'll be fine." If floyd's saying it though, it's ok.
MMM, I can't give any comment about a 19 inch front wheel but I can comment on dual sport tyres on a K bike. I am running Avon Trailrider tubeless tyres on the front and rear of my K75 on the standard "Y" spoke wheels (I understood the term "Snowflake" was generally used in relation to the allow wheels mounted on the earlier boxer BMWs which are a different pattern). Front is an 18 inch and as already posted, the standard size is a 130/90 x 18 tubeless. The tyre I use on the front is a 110/80 x 18 tubeless rear tyre mounted on the rim in the reverse direction (it is OK - refer to Avon FAQ). Rear is a 140/80 x 17 tubeless radial. I am on my second rear and still on the first front closing in on 20,000km. My riding is mostly sealed roads but regularly tackle long stretches of gravel roads on it. I am very happy with the tyre performance wet or dry but I am no racer either. 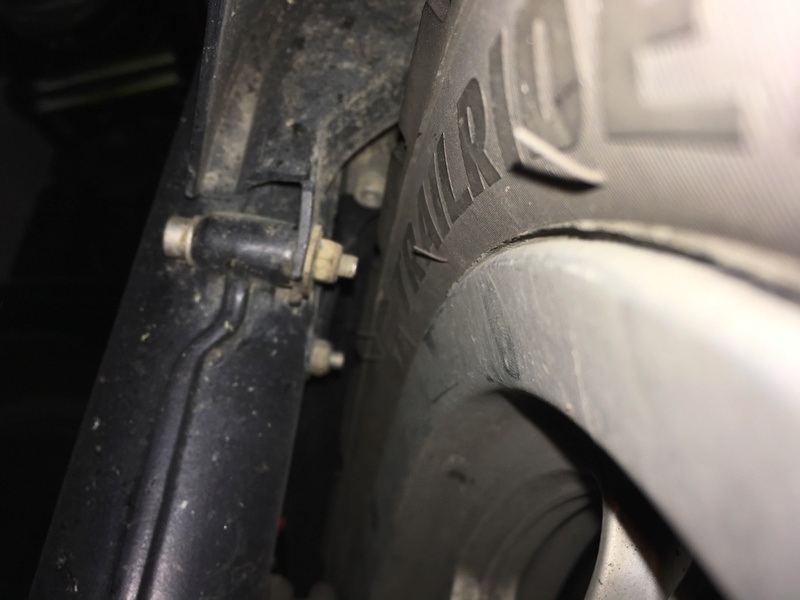 Prior to fitting the Avons I used a set of Pirelli Scorpion Trail dual sports but in a standard size 130/90 x 18 front and a size up at 140/80 x 17 radial rear. I liked them as well however they are not as chunky in the tread as the Avons. I am interested to hear about your fitting of a 19 inch front wheel - please post about it as I am a fan of the dual sport/scrambler customising of road bikes in general. I ran both the Mitas and Heidenaus on a Super Tenere 1200. On the Mitas it was a nice steering pleasant bike to ride. With the Heidenaus it just felt dead. Mitas probably has better grip too. Thanks guys. Sorry it is indeed an 18 on the front. The bike is in a garage currently not near where I live and so have only just been able to check. I did originally look at the mitas e-07 but couldn't find many reviews on them. Seems like these would fit? Ill of course be posting some pictures once everything's complete although I think it will be deep into the winter by the time it's done. The 120/80 x 18 might be tight. Here is a photo of the Avon 110/80 x 18 on the front of my K75 and there's not a lot of clearance to the mudguard bolts (they could be shortened a little bit). I think the K100 has the same dimensions in the front as the K75. If you want I will try to get an accurate measurement for you.